The Asian market is set to see a number of cross-border bank payment obligation transactions close in the coming months, writes Liz Salecka. Bank of Montreal Financial Group’s issue of the first-ever cross-border Bank Payment Obligation (BPO) over Swift’s Trade Services Utility, favouring Bank of China (BOC), could signal an era of change in the tools used to support the provision of international trade finance. Swift’s BPO, a rules-based instrument, which can be electronically transmitted between two banks to perform a similar function to a letter of credit, was used by Bank of Montreal to guarantee payment by one of its customers for goods being imported from a BOC customer. BOC used the transaction to extend finance to the Chinese exporter, making this the first time a BPO has been used to support export financing. 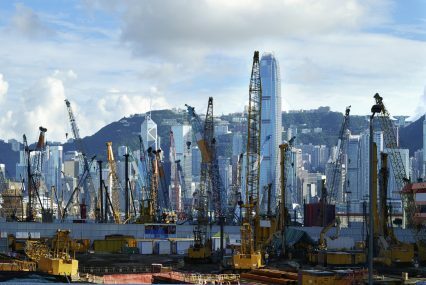 A raft of further cross-border BPO transactions over the Trade Services Utility (TSU) are now anticipated, with Asian banks such as BOC, which want to extend export financing to local companies, expected to take the lead, according to David Hennah, senior market manager, supply chain, banking markets, Swift. “Given the growing number of cross-border relationships being developed with China, we can only anticipate that BOC’s services will continue to be in strong demand,” he says, pointing out that a number of potential counterparty banks are already in discussions with BOC over further BPO transactions. Hennah explains that the first live cross-border BPO transaction, announced at Sibos in October last year, stems from an ongoing pilot project by the BPO Commercialisation Group, which comprises 20 banks that are all users of Swift’s TSU, a common communications platform over which they can exchange data and information. Although Swift expects the Asian market to be the main driver of future BPO transactions, the BPO Group, which includes HSBC, JPMorgan, RBS, Deutsche Bank, Commercial Bank of Dubai and Standard Bank, represents the collective interests of banks worldwide, and their interest in using the instrument is growing too. HSBC has already conducted some live cross-border BPOs between its own branches in a move to improve its understanding of the instrument and how it works. There are expectations that pioneer banks like Bank of Montreal will also look towards partnering with other counterparties, and potentially act as a receiver as well as an issuer of BPOs in the near future. “It is fair to say that we are still in the early stages of pairing banks with one another,” says Hennah, pointing out that while Swift has put the technology in place for BPO transactions, supported by the legal framework, some banks still need to satisfy internal compliance procedures and negotiate agreements with their corporate customers before they can start testing the BPO. He adds that banks involved in the project have already identified a number of corporate counterparties and are actively talking to them about defined value propositions, ranging from pre-shipment or post-shipment finance to value-added data management services. While most activity has centred around the BPO group so far, Hennah explains that banks outside the group can also test and deploy the BPO once they have the technical systems in place, and are operationally and commercially ready. “Once they tick all these boxes, two banks seeking to exchange a live BPO would first simulate this via the test system, before progressing to the live environment,” he says. In the future, banks which do not use the TSU, may also be able to take advantage of the BPO as Swift plans to make it a platform-independent, globally-accepted instrument. “At present, banks would have to be members of the TSU to use it. Swift can provide the software needed to connect to the TSU, and so any bank can start using the TSU and BPO within a relatively short period of time,” says Hennah. Swift, he explains, is currently seeking approval from the International Chamber of Commerce Banking Commission for the BPO to become an accepted market practice that supports international trade transactions, and he anticipates official recognition before the end of the 2011. However, while there are other platforms available, which link banks together and perform data matching, Hennah considers the TSU, which is a collaborative partnership bank initiative, to be unique in terms of its reach and market coverage. Swift anticipates that the BPO’s potential widespread use will fill any gaps that exist between traditional trade instruments and pure open account trading. “Different banks will approach this in different ways, and some will see the BPO as a natural replacement for letters of credit,” says Hennah. Here, he points out, exporters forced to trade on an open account basis may be able to eliminate the cost of paying for risk mitigation and/or financing services such as export credit insurance by using the BPO.